Long ago, during the 17th century, the O’Neills and O’Reillys were two revolutionary Irish families. They formed a rowing competition to reserve rights to some highly regarded land. The two rowing teams agreed that the first to touch the land, after rowing across the lake, would become ruler of the land. O’Neill’s boat was falling behind so a member of the crew grabbed his own sword, cut off his hand and threw it ashore, winning the title to rule the land. This land still remains in the family. 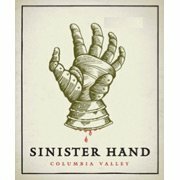 This generous fusion in the Owen Roe Sinister Hand 2015 of Grenache, Syrah, Mourvedre, and Cinsault is easily approachable while displaying undeniable complexity. The Grenache portion of the blend contributes cranberry and raspberry candied fruit notes, while the Syrah delivers darker fruits and savoury characteristics. Mourvedre enhances the structure and richness of the body and provides delicate aromas of violets. The partially carbonic macerated Cinsault brings liveliness and tropical fruit flavors to the blend. Try pairing with a smoked salmon dish with cranberry sauce and grilled portabello. 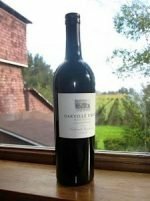 Categories: Country - United States, Region - Washington, Red - Syrah and Petite Sirah, Unique Reds. Zaca Mesa wines are made from sustainably farmed grapes that are estate grown, produced and bottled. With over 40 years of grape growing experience in the Santa Ynez Valley, the winemaking and vineyard teams meticulously farm our vineyard to focus on terroir-driven wines. 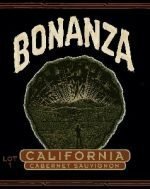 They began growing Rhône varieties in 1978 and they were the first to plant Syrah in Santa Barbara County. Zaca Mesa has been producing this unique blend called the Z-Cuvee since 1993. It is inspired by the wines of Côtes du Rhône found in the southern Rhône Valley of France, where they have been blending these varieties together for centuries to create wines that are greater than the sum of their parts. The 2015 Zaca Mesa Z-Cuvee is an extremely balanced and complex Rhône blend. Grenache adds rich raspberry aromas and flavors; Mourvèdre brings notes of blueberry, meat and spice; Syrah, adds flavors of blackberry and ripe tannins; Cinsault brings a touch of dusty berry. With a nice sense of berryish fruit leading the way and hardwood kiss of richness helping out, this wine is attractive in aroma and also in supple-textured flavors. It firms up at the back without giving up anything to dryness, and while it can age a little, it does not demand cellar time.